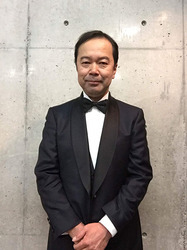 Yomiuri TV Producer Michihiko Suwa is a fixture of the anime industry and has been for over thirty-five years. Best known to western audiences for his work on Inuyasha, his main project is the mystery series Detective Conan (Case Closed), which is currently in its 23rd season and still going strong. The newest movie, ZERO THE ENFORCER, will be released in Japan on April 13th. Suwa-san has also planned and produced a number of other series, including Lupin III, Magic Knight Rayearth, Black Jack, Angel Heart, Kekkaishi, (The) File of Young Kindaichi, YAWARA!, and City Hunter. An engaging and knowledgeable speaker, Suwa-san enjoys interacting and engaging with his audience, as well as sharing stories about how the anime we love to watch gets made.